In a nutshell this is the basis for a web page but it’s not terribly exciting and even more so it’s ugly as all hell. So let’s change that. I’m a functionality guy before a design guy so I’m going to write all the components I want for my about page. Substitute the src link with whatever audio source you want and place the entire snippet above the <img> tag. If you load your page in the browser you will hear your song autoplay. <div> – tag defines a division or a section in an HTML document. 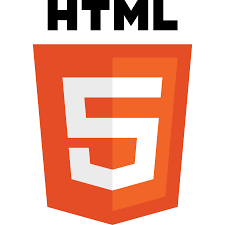 itemscope – By adding itemscope, you are specifying that the HTML contained in the <div>...</div> block is about a particular item (Schema.org). itemprop – To label properties of an item, use the itemprop attribute (Schema.org). That’s pretty much all of the content I want my about me page so this is where I am going to stop. HTML5 is easy to learn it’s 99.9999% learning the tags and attributes, which come with time and practice (and following my tutorials). The next tutorial will start the beginning of the meat of front end web development CSS (Cascading Style Sheets) which is the language that allows us to style our webpages (currently ours is boring). If you haven’t subscribe to my blog via email, and please share this with anyone who you believe would benefit! Be sure to see the updated code here!